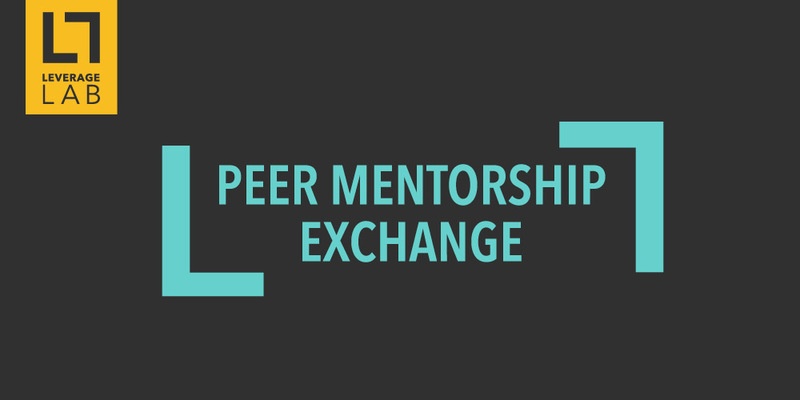 Have you been inspired by the peer mentorship experience you’ve enjoyed at Leverage CAMP? Have you wanted to extend that experience beyond these four hours together? Imagine the impact that type of continuous learning could have on you and your business. Whether you are looking for accountability or advice, this is an excellent opportunity for you to invest in yourself AND your peers at the same time. Businesses with a purpose beyond profit are the catalysts of our time. They require fierce perseverance, humility, drive, and, most of all, leadership. Given the various hoops and hurdles necessary one must overcome in today’s global arena, a peer group of trusted believers can help you to identify blind spots, offer tips and advice, and push and hold you accountable to their highest sense of self. Here is your chance to build the network to help you succeed. As changemakers, consultants, and social venture pioneers, it is sometimes hard to stay the course with the important work we do, when so often we feel alone and under-resourced. At Leverage CAMP each year, we find a group of people who understand what we are trying to achieve and who operate with integrity and compassion. A group of us from Vancouver expressed an interest to extend this connection beyond Leverage CAMP. We wanted to create an ongoing sense of team and solidarity that will bring us the strength we need to be the best we can be, and to continue to share our skills and expertise and support each other in achieving our goals. Accountability to your set goals. All groups will be convened together twice a year to share lessons learned.